Product code: Q886 Categories: Sold Items, Sold Rings. 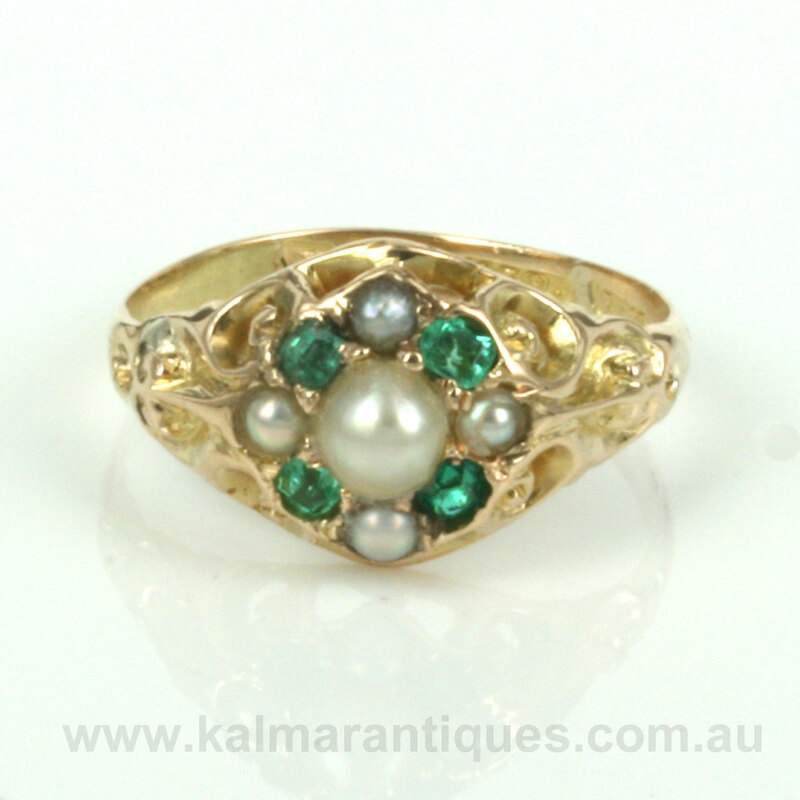 Jewellery from the late Victorian era are so charming and sweet and here is a very attractive antique emerald and pearl ring that looks so sweet on the finger. Made in Birmingham in 1897, the ring was made in 15ct yellow gold and set with the one pearl in the centre and surrounded by 4 natural emeralds and 4 pearls. The diameter of the top of the ring from the cluster of pearls and emeralds measures 8.6mm in diameter. Then typical of what makes antique jewellery so much more charming is the delightful scroll work on both sides of the ring which really looks so lovely when this ring is on the finger. The emeralds are so vibrant and look so good amongst the yellow gold and with the pearls just adds even more charm. This is such a charming antique ring from the Victorian era that will always be loved and cherished.